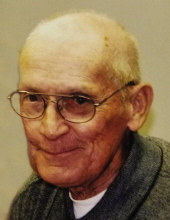 Charles Edwin Parkhurst, age 84 of Catawba, passed away Sunday, February 10, 2019 at Carolina Caring of Sherrills Ford. Born August 9, 1934 in Catawba County, he was the son of the late C. Nye and Eula Elizabeth Sigmon Parkhurst. In addition to his parents, wife, Kathleen Parkhurst; great-grandchild, Nathaniel Brown and son-in-law, Steve Lewis preceded him in death. A memorial service will be held Wednesday, February 13, 2019 at 4:30 PM at Burke Mortuary Chapel in Maiden with Rev. Bryan Pittman officiating. The family will receive friends prior to the service from 3:00 – 4:15 at the funeral home. Burke Mortuary in Maiden is serving the Parkhurst Family. To send flowers or a remembrance gift to the family of Charles Edwin Parkhurst, please visit our Tribute Store. "Email Address" would like to share the life celebration of Charles Edwin Parkhurst. Click on the "link" to go to share a favorite memory or leave a condolence message for the family.